As my two previous posts indicate, my wife and I are currently in South Africa. While the main purpose of our visit is to support home educators in this lovely country, we have been seeing some of the sights as well. For example, after I spoke at the KwaZulu-Natal Homeschool Curriculum Expo, we went to a game reserve to see some amazing wildlife! My Facebook page has a photo album that gives you a taste of what we saw. Before we went to the expo, however, we traveled through the KwaZulu-Natal province and visited a historic site. It marks the spot where, on August 5, 1962, Nelson Mandela was captured by the South African police. He had been on the run from the police for 17 months, and at that time was posing as a chauffeur. He and the other man in the car (Cecil Williams) had just visited the head of the African National Congress to report on what Mandela had been doing outside the country to fight Apartheid. Their car was stopped at a road block, and the police saw through Mandela’s disguise. He was arrested and eventually imprisoned for 27 years. 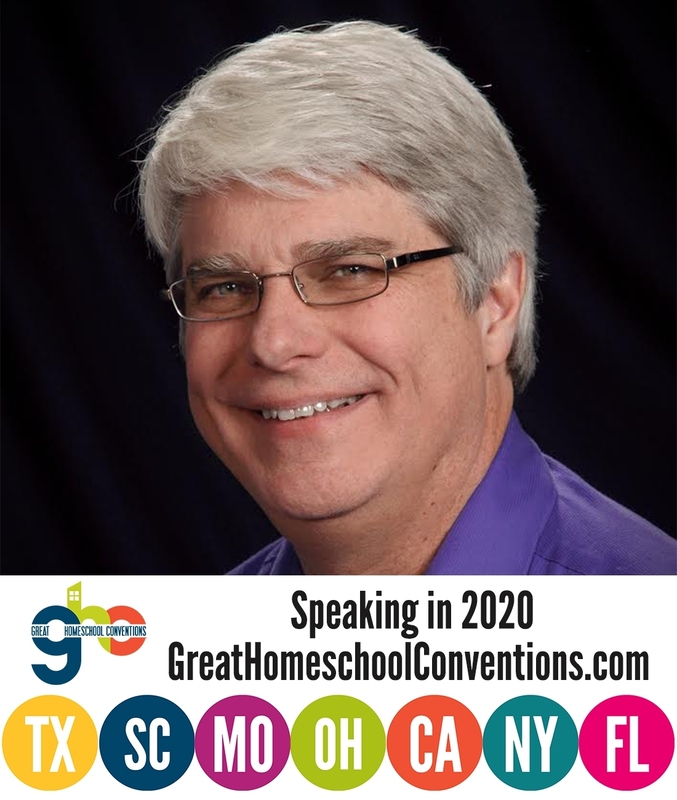 This history is very important, of course, but that’s not the reason I am writing this post. Instead, I want to highlight the work of art (pictured above) that is used to mark this historic spot. 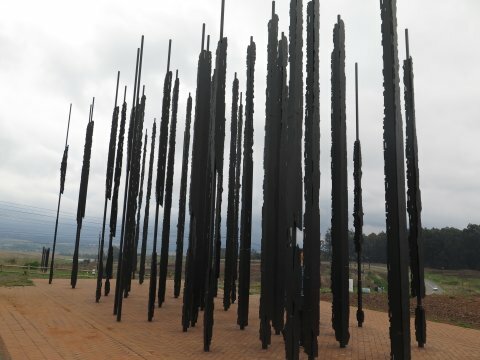 It was unveiled in 2012, on the fiftieth anniversary of Mandela’s capture. While you are driving up to the museum that leads to the sculpture, that’s what you see. It doesn’t look like anything. However, after you walk through the museum and approach the sculpture from the front, it resolves into Mandela’s profile. The effect is really nice. Obviously, the artist who designed this sculpture (Marco Cianfanelli) is incredibly talented. I can’t even begin to imagine how he came up with the idea, even with the help of architect Jeremy Rose. While the sculpture alone is worthy of note, I want to point out one thing that everyone who was with me noticed and commented on – the camera sees Mandela more clearly than your eyes. 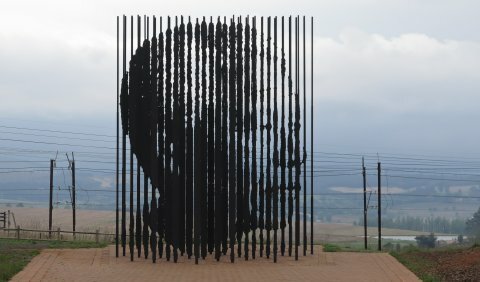 When you look at the sculpture from the right perspective, you can tell it is the profile of Nelson Mandela. However, when you take a picture of it and look at that picture, the resemblance to Mandela gets stronger. In other words, the camera is “fooled” by the sculpture more than your eyes are. I suspect this is because your two eyes allow you to have depth perception. As a result, you see that the sculpture isn’t really flat. It has depth to it, and that makes the image of Mandela a bit harder to see. I tested this by closing one eye, and it seemed to have the same effect as the camera – Mandela’s image became clearer. To me, this is just another indication of how fearfully and wonderfully made we are (Psalm 139:14). While our visual system can be fooled, it isn’t fooled as easily as something designed by human hands. Of course, that’s not surprising, since we were made by a significantly more talented Designer!